As you might have noticed, I haven't been blogging as much as I used to. 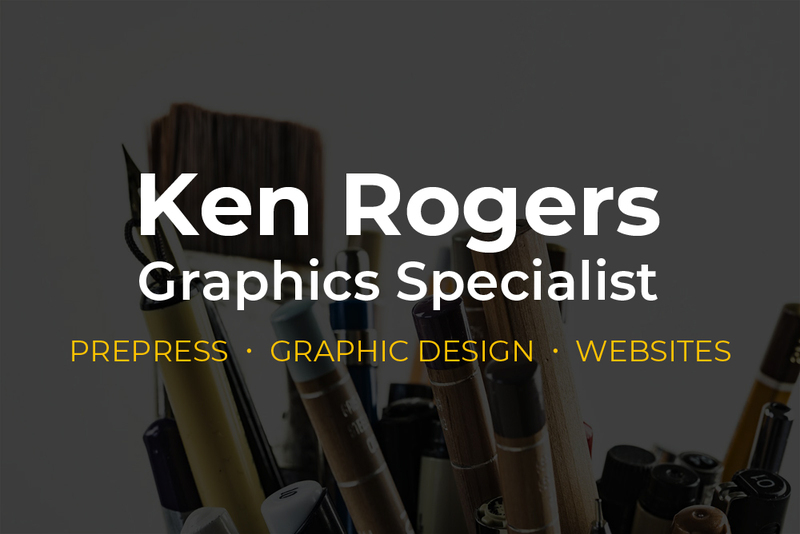 Due to a combination of a lack of time and money (with heavy emphasis on the latter), my ability to blog is limited. Although my commitment isn't what it was, there are rare times when I come across something so good that makes me want to scream about it. Well, the food at Lucky Cat Ramen meets that criteria in a big way. 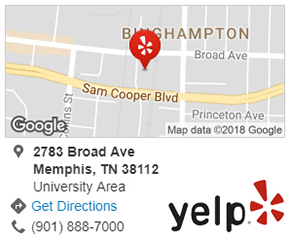 Located on Cooper and Peabody (next to my favorite bar Slider Inn), this restaurant got high praises from my friends for having some of the best ramen in Memphis. Personally, I love the fusion of Asian and American Southern cultures that makes Lucky Cat Ramen special. So, coming out of literary semi-retirement, I want to tell you about it. When I went to the restaurant on September 14, 2018, I pretty much knew what to expect. Most of my drinking buddies at the Slider Inn were impressed with Lucky Cat's use of pork in most of its ramen dishes. Specifically, they raved about the pork belly (the part of the pig where bacon comes from) that highlighted their dinners. This really aroused my curiosity, because I never thought of pork belly being a centerpiece in any facet of Japanese cuisine. 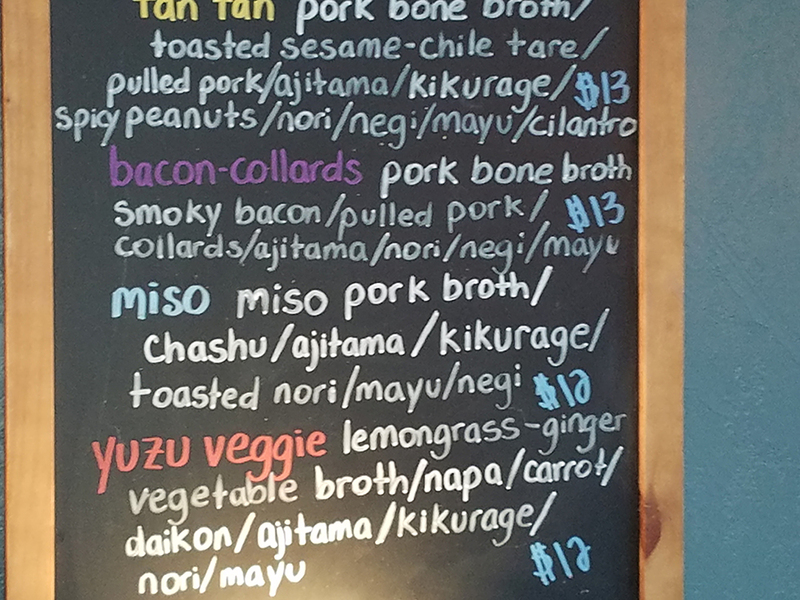 Of course, I'm far from being an expert in that and I'm sure that some people will call me out on it, but I've never seen pork belly on any ramen menu until my latest visit to Lucky Cat. Although it wasn't my first visit to Lucky Cat (I will talk about that later), I was anxious to see what the restaurant was serving. Among the ramen dishes, nearly everything on the menu had pork in it (the one exception was strictly vegetarian). Pork belly was the main player in most of the ramen dishes, but I chose the Tan Tan that had pulled pork. Not to be deprived, I also added pork belly to it for the purpose of experiencing what my friends had. Not to go all "Memphis Que" about it, but the Tan Tan had some of the best smoked pork that I've had in a while. The pulled pork was tender while not being mushy in the pork bone broth, with a tastiness that could hold its own with barbecue joints like Central BBQ. As for the pork belly, it was a display of culinary excellence. It had a fatty and firm texture with a little bit of char to give it some barbecue flair. 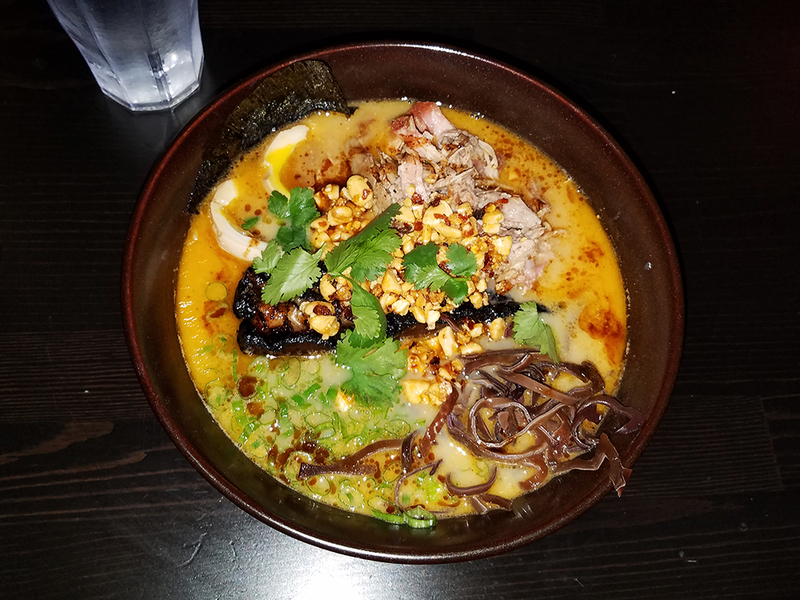 By itself, I believe the pork belly would have been awesome, but combining it with a pork bone broth with cilantro, peanuts and sesame in it resulted in something that blew my taste buds away. As for the ramen noodles, all I say is that it complemented a wonderful meal that I will remember for a long time. SIDE NOTE: If you look at the upper left corner of the first picture, you'll see that I'm drinking water. For those who know me, that's a little out of character for me. Unless I have to go without it for either health or legal reasons, I'm usually eating dinner with an alcoholic beverage. Unfortunately, Lucky Cat doesn't serve alcohol of any kind, not even Sake. If it was available, I would have had wine (particularly a Chardonnay or a Riesling) with my ramen (or a Japanese beer like Asahi that is a good pairing too). But despite not having that, I thoroughly enjoyed my visits to Lucky Cat and look forward to dining there often. By the way, if you really can't go without a drink, Lucky Cat will allow you to bring an alcoholic beverage into the restaurant (for convenience, there's both a CVS and a Fresh Market grocery store within walking distance of the restaurant). As I said earlier, my latest visit to Lucky Cat wasn't the first. Over a year ago, I went to the restaurant for something that departed from my usual Friday night dinner at the Slider Inn. 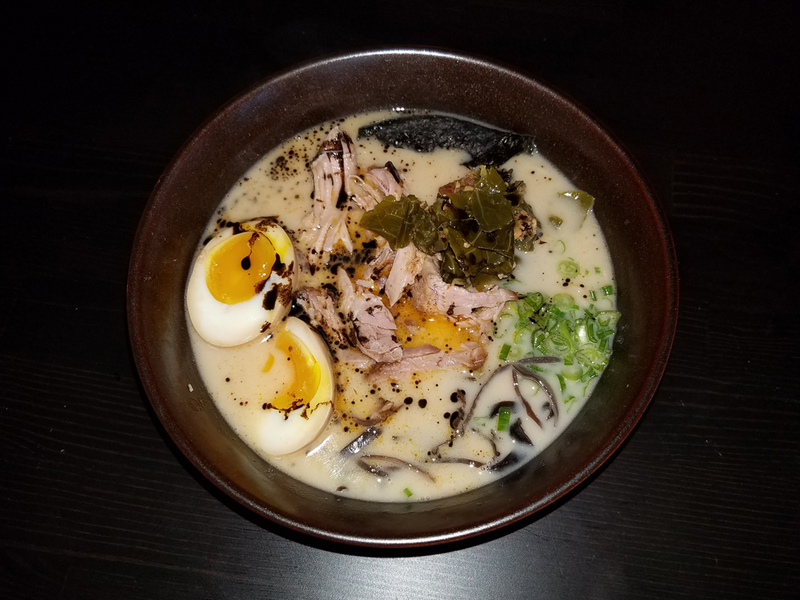 Although my expectations weren't much, I heard through the grapevine about the uniqueness of its ramen dishes, particularly as relates to Soul Food. With that in mind, I referred to the restaurant's chalkboard menu to see what it offered. Among the many ramen dishes listed on the menu, the one that stood out for this Southerner was the Bacon-Collards, a fusion of Japanese cuisine and Soul Food. Simmering in a pork bone broth was pulled pork, collard greens and smoky bacon along with a boiled egg and other veggies and noodles. From a creative standpoint, the Bacon-Collards was the most interesting dish I had outside of an Andrew Michael restaurant. In terms of taste, the Bacon-Collards didn't disappoint, for the collard greens, bacon and pulled pork made this a unique experience as far as ramen goes. The collard greens were definitely good enough to hold its own with the best Soul Food restaurants in Memphis (as an aside, I'm not a fan of many restaurants that serve it). I hope someday that Lucky Cat puts the Bacon-Collards back on the menu, for it is a dish that will make even the most skeptical of ramen critics believe. NOTE: After doing a follow-up check after posting this, I've learned via Wikipedia that pork bone broth is called "tonkotsu" in Japanese. It seems the Japanese has more in common with Americans than I thought. To sum it up, Lucky Cat is an extraordinary restaurant that serves cutting edge ramen that dares to go beyond traditional boundaries. Despite not serving alcohol, it is a huge hit with my drinking buddies as well as many others. I hope more people discover Lucky Cat because it really fits in with Memphis' culinary culture. 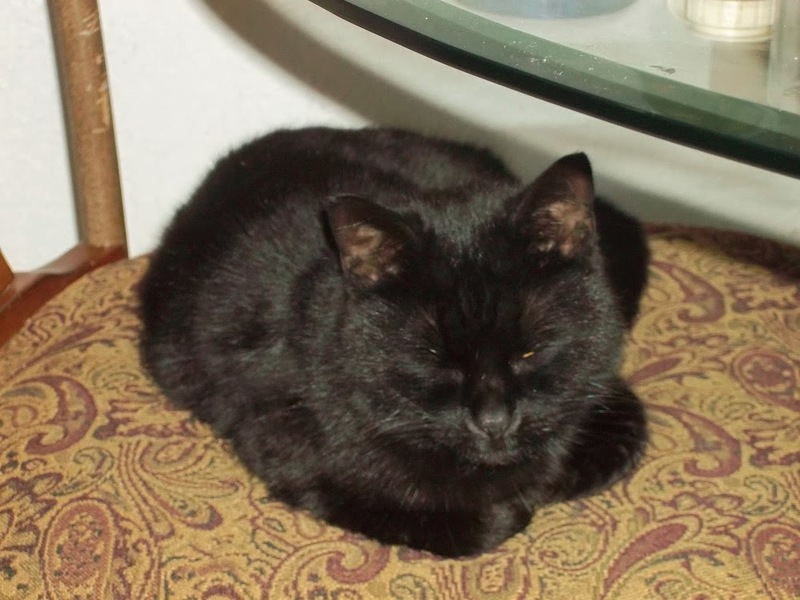 If my late Mom was still alive, even she would like Lucky Cat despite an aversion to Asian food (of course, I could use the love of our favorite cat as a sympathetic appeal for the restaurant). 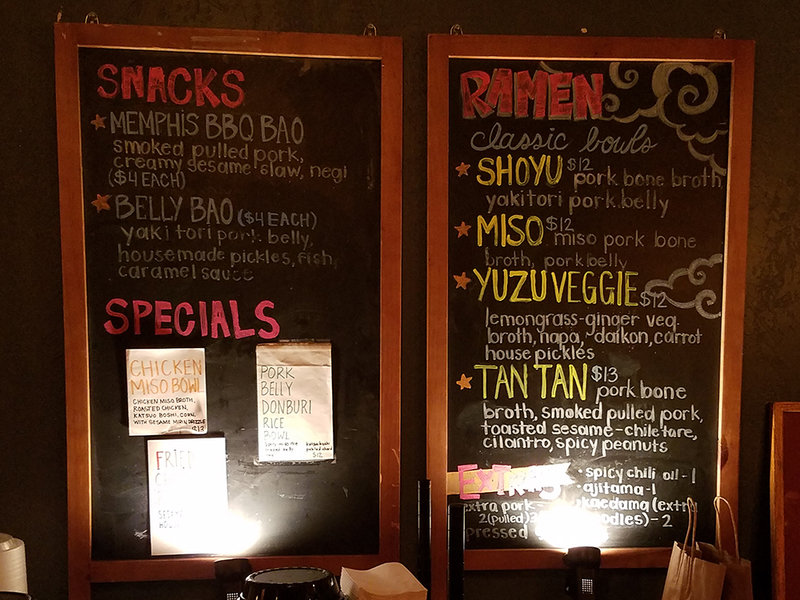 As a Memphian, I highly recommend Lucky Cat Ramen to my fellow citizens because I believe they will embrace it as one of its own. In a first for for this blog, I want to talk about a craft beer that is, for the most part, "normal." 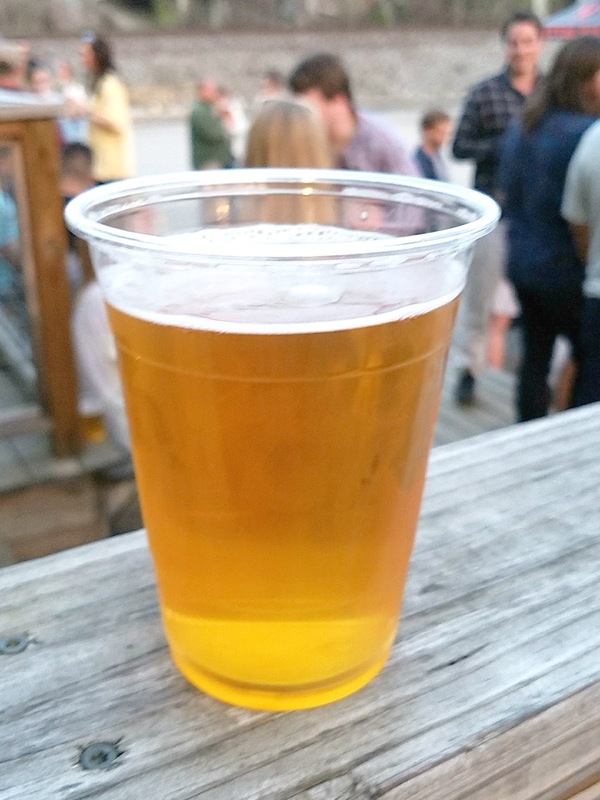 Recently, while at Wiseacre's taproom, I came across a beer that wasn't loaded with hops or any of the other "crafty" stuff that's unfamiliar to the average American beer drinker. It's simply a lager that's both distinctive and familiar, meaning that while isn't interchangeable with a Bud Light or a Pabst Blue Ribbon (although the Sands is a slightly more robust (as in hoppy) version of a PBR), the malty flavor of the Memphis Sands is unique but still falls within the norms of what most expect in a beer. By the way, this is not a put down of craft beer in general or any of Wiseacre's other brews like the hoppy pilsner Tiny Bomb, the Ananda (an IPA) or the Gotta Get Up To Get Down, a coffee milk stout that might be hip with a lot of millennials. However, for middle age guys like myself, I would rather "get down" with a normal, decent tasting beer that I can chill out with. On that note, the Memphis Sands is perfect. 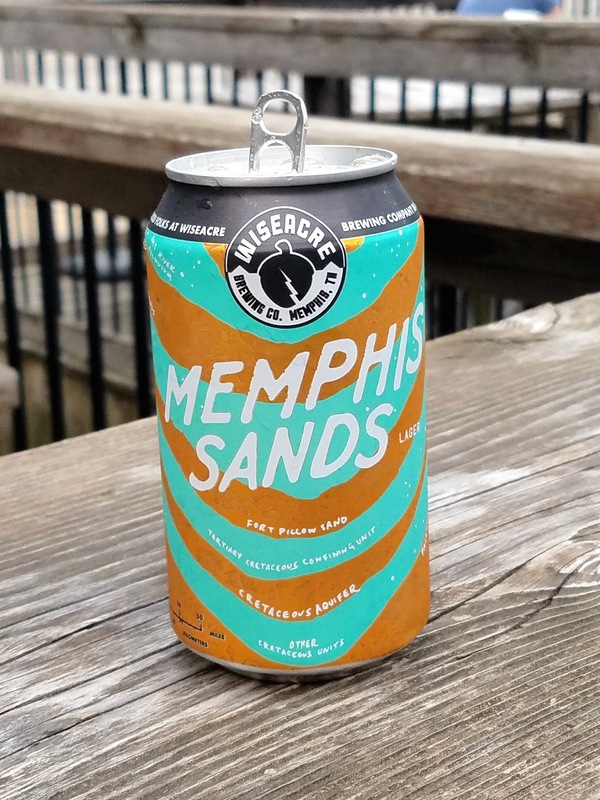 NOTE: Because of Wiseacre's limited brewing capacity, finding a grocery store that carries the Memphis Sands might prove difficult. After searching for it in places like Cash Saver, Raffe's Deli and other beer-friendly stores, I eventually bought a case directly from the brewer at Wiseacre's Tap Room. Going into 2018, I want to get back to normal in blogging about food and anything related to that (including an occasional blog post about beer, wine or any other alcoholic beverage). Although blogging is a hobby, I still feel that it's my mission to highlight restaurants that are noteworthy and point out places that most aren't familiar with (including restaurants in the "hood" and other undesirable places). 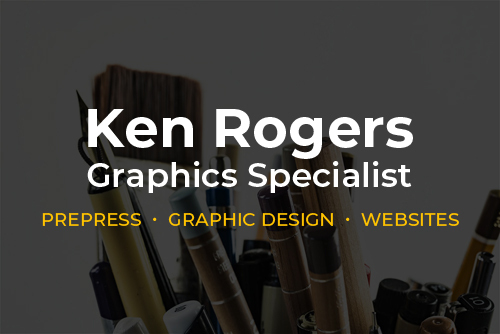 Unfortunately, I've had a lot of distractions that kept me from blogging (along with a scarcity of cash), but I hope to recommit to Ken's Food Find as a way of getting back to normal. With new restaurants like The Dirty Crow, The Vault and Hopdoddy Burger Bar opening (along with Hattie B's expanding into Memphis), it's time for me to get back into the game.